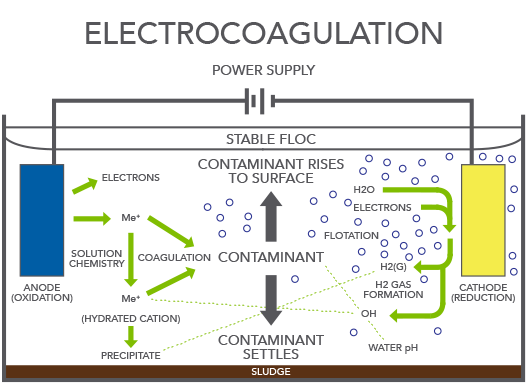 CRS Electrocoagulation Technology uses electric currents to remove contaminants from process fluids. Based on the electric current applied, the Electrocoagulation Technology will remove heavy metal cations, ions, colloids and some emulsions. The recovery of the base fluid can be as high as 99%.